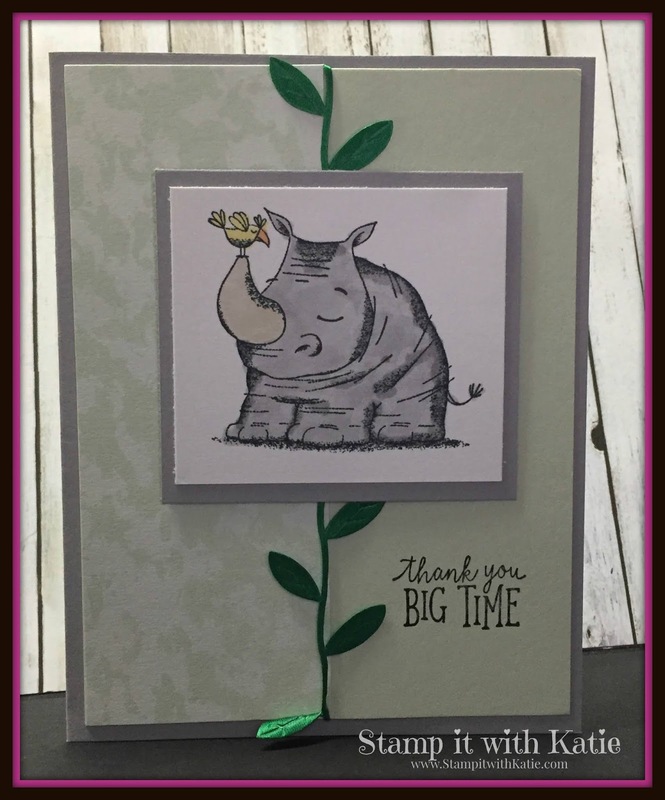 Stamp It with Katie: Everyone's favorite Rhino! Here he is again... causing a commotion with his cuteness! I LOVE this Rhino! He is so darn cute! Today's card earns extra cute points by adding the Leaf Ribbon (pg 200 annual catalog)! So much fun! You're working with the new Soft Sea Foam ink as well as Smoky Slate and pairing the Animal Outing with Tranquil Textures Designer Series paper. Don't forget to use those Blendabilities for coloring this cute little guy in!